Cologne - Scoring is a rare enough feat in itself for Jonas Hector, but skipping past five opponents before doing so was an absolute first for the 1. FC Köln left-back on Matchday 28. Just to put the icing on the cake, his mazy 78th-minute run and deflected finish proved the eventual decider in the Billy Goats' 3-2 victory over visitors 1899 Hoffenheim, taking them three points closer to top-flight safety. Overall, the new Germany international has been one of the standout performers for a freshly-promoted Köln side who have impressed with their all-round solidity this season. “Well, I picked up the ball, started running and then at some point that was that,” the 24-year-old Saarbrücken native responded in typically laid-back fashion when asked subsequently about his spectacular strike. 'Harry Hectic,' as he's ironically nicknamed by his teammates, has been one of the standout performers for a freshly-promoted Köln side who have impressed with their all-round solidity this season. So much so, in fact, that Joachim Löw called him up for his first taste of full international action for Germany off the bench in the 4-0 UEFA Euro 2016 qualifiying win against Gibraltar last November - and played him from the start in the recent friendly draw with Australia and subsequent 2-0 victory over Georgia in Tbilisi. The 43rd Köln player to run out for die Nationalmannschaft, Hector now looks bang on course for a regular squad berth with the world champions in the pursuit of their next major title. Until recently, becoming the first Billy Goat to enjoy such rosy prospects since Lukas Podolski seemed a highly unlikely scenario even for Hector himself. 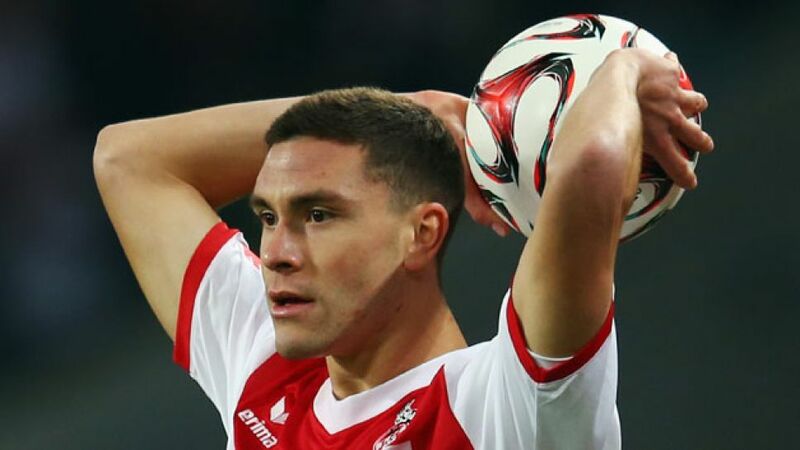 He joined Köln from fifth-flight SV Auersmacher in 2010 and, after Peter Stöger's men won promotion last season, happily admitted that, “If someone had said to me five years ago that I'd end up a first-team regular at professional level, I'd have thought they were nuts.” Now, Jonas Hector is just that - and more.